The primary purpose of the news is to inform people about important events. However, as has become clear recently, this process is not always what actually happens. Fake news, biased news sources, opinions disguised as facts and so on… these are realities of our modern news world. 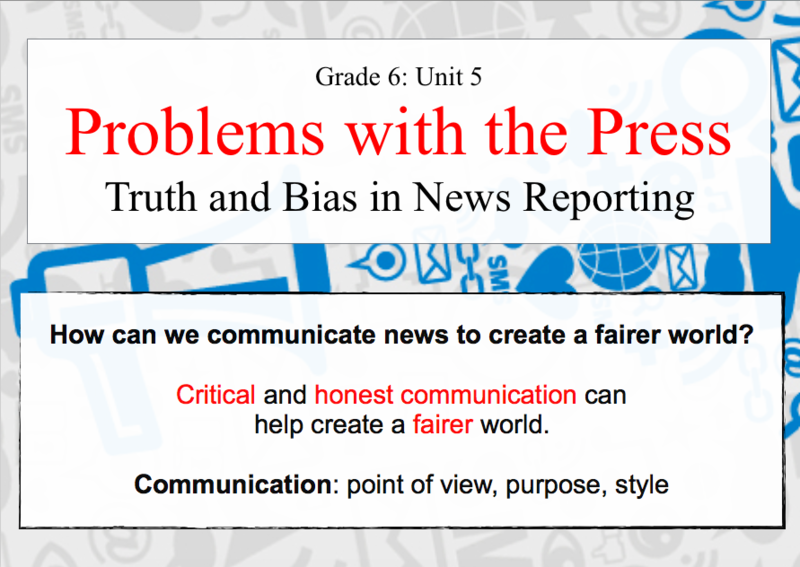 The goal of this unit is to learn how to become a more critical consumer of news by improving our media literacy skills. We will begin the unit by accessing our background knowledge of news reporting, reading different types of news sources, and we will even write some front page news of our own! Now that we have introduced the unit and produced some practice news reports, it is time to revise the content and structure of news reports. Today we learn to distinguish fact from fiction. We will also look at the editorial – an appropriate place for opinions in the news. In the last lesson, we learned to distinguish fact from fiction. Often, writers try to hide opinions as facts. Today, we will learn about the concepts of objectivity and subjectivity and learn how to identify opinions disguised as facts. Today we learn about different types of bias as well as the words and techniques that may indicate bias. We will also practice identifying biased language in news stories. In these lessons, we will put everything we have learned to use by close-reading some example news articles. In an effort to get viewers, news can exaggerate or sensationalise news events. This can be exciting, but it can also have other negative effects as well. We will find out what these are during this lesson! In these final lessons, we will show our understanding and ability to distinguish between credible and non-credible news by performing live newscasts in both broadsheet and biased/sensationalist styles.